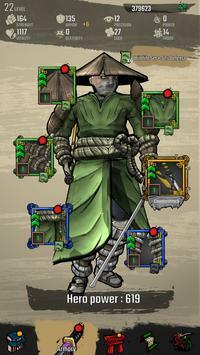 Join your friends in DEMON BLADE, enjoy our ACTIONRPG combat, save the world from corruption and become a true RONIN. DEMON BLADE is a FREE TO PLAY ACTIONRPG game. Explore a world ravaged by corruption. 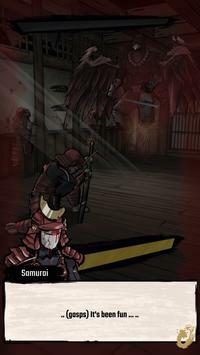 Save the world and defeat DEMONS from the japanese folklore..
DEMON BLADE has a dynamic combat system! Fights are very intuitive with mechanics designed for mobile. Feel the combat in your fingers and help your character save the world from the corruption! Slash different demons that haunt the world! Block all their attacks with your katana! Use your RONIN special skills! Loot equipment, fuse it and equip it as you wish. Different armor combinations give you different stats. Fight with demons of the japanese folklore. Struggle against yubi, Yuki Onna and many more. Fight against a horde of demons or against your friends in PVP. Fight demons in a campaign with multiple stages! Join the Cursed dungeon and defeat the God of Corruption. Reap rewards from different events in the game, be part of the world of DEMON BLADE. 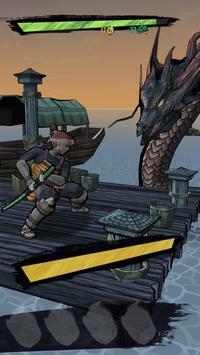 Become the legendary RONIN in DEMON BLADE. Please review Demon Blade Game and submit your comments below. We will collect all comments in an effort to determine whether the Demon Blade app is reliable, perform as expected and deliver the promised features and functionalities.